Home » How to get Indexed #1 in Search Rankings ? Their are Lots of Company’s and Software’s which guaranties no 1 ranking in search but it is totally waste of time and money.Getting Indexed on Number one Place on Google is Not an Easy Thing to Do. It Requires Lot of Work with Dedication. But it Can be Done With Simple Methods which are very Popular Online. You may have Seen Many of the Topics which we will be sharing today. So Below are the Steps to Get Indexed on 1st Place in Google. Always Select “.com’ Domain for your Site Becasue it ranks Better than Other “.net” or “.in” Domains. “.com” Domain are Also Better for User Experience Because whenever User Types Website Address in Browser he supposes .com in the End. For Example:- If I want to Open a Site Named “My Blogger World” then I Would Type MyBloggerWorld.com in Browser. If That Site has other Expensions Like “.in” then I May Accidentally Open a Wrong Site. So .Com Domains are Best for Any type of Website. Now Next Thing is You must Choose Best keyword for Your Domain Name. Suppose You want to Create a Site on “Blogging” Then You Must have this Word in your Domain name Like “BloggingTips” or “MyBloggingTricks”. This Always Been on the First Place. 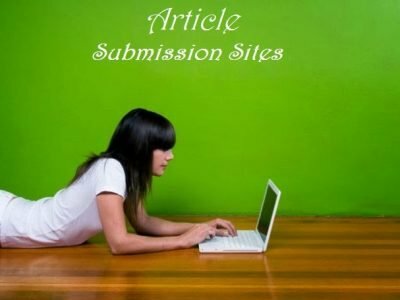 If You Website or Blog then You Must Write More than 20 Unique Articles Before you ever think of your Site Appearing in Search. Now You Should be Thinking “How Long Articles You Have to Write” , “How to get Ideas”. I Can Understand in the Beginning Writing Long Articles are Not Easy so i would suggest you to Write About 500 Words Per Article which will Enough to Make Your Site Appear in Search Results. But Don’t Always Remain with 500 Words, Increase Your Word Limit as soon as you gain some experience of Writing. Take it to about 700 Words which Would be an Ideal to Compete against your Competition in Search. Now Second Question How to Find New Unique Ideas? . This can be Done Using Google Search itself or by Reading your Competitors Posts. Suppose You have a Blog on “SEO Tips” then Make a Search on Google with keyword “SEO Tips” then You Will Find Many Results Related to SEO. Read Posts which You find Interesting , then Note the Title of that Post , then again Open Another Post. This Way You Can Find Many Ideas to Write. Google Will Never Know About Your Site if you Don’t have asked Google to Crawl Your Site. Google has Robots who Crawls Websites From Link to Link. But if Your Site is New and it doesn’t have Any Link on other site then their is big chance that You Site is not Crawled By Google Robot. So to Do this You have to Submit Sitemap in Webmaster Tool Section After Verifying Your Site With them. When You Sign up with Webmaster Tool they Will Ask You to Enter a Verification ID in DNS Section of your Domain Name Provider. After You Added Verification ID in DNS Setting then You have to click Verify at Webmasters Tool and You are Now Successfully Verified Your Website. In the Next Step Go in the “Sitemap” Section from Sidebar and Click “Add New Sitemap”. Now in the Box Write “Sitemap.xml” and then click “Add”. Its All Done. Google Will Crawl Each and Every page of your Site in Few days. Use Special tags in your Post Like , Italic , Bold , Title , h1 , h2 . After Selecting best keywords that describes your page always put it in the title tag on every page. A website has Two pages . Same Way Put Every Post of a Blog in Title Tag. For Example this Article has this in Title. Remember Do Not put any Single keyword in title more than 3 times it will rank lower as they see this as keyword spamming. Always choose H1 ,H2 Tags in Your Post to Differentiate Headings from Normal Text. Use Bold and Italic Tags to Create Special Effects to Let Google Know these thing here has something Special. Note:- You Don’t have to Worry About these Tags Because these Days Whatever Platform you choose to create a Website or Blog , All has Post Editors which Include every Feature that you wanna Use. Their is No Need to Manually Add these Special Tags. Post Editor Will Provide One Click Buttons to Add them. Loading Time of Site Can Effect Your Site Rankings so work on this matter by Reducing Size of Coding and Images. Read:- How Website Loading Speed Affect Rankings? This Algorithm not affect Sites Largely But it has some Importance Because it Penalizes sites having Main Content Below Fold. It is Also a Bad User Experience. So Keep Main Text or Links Above Fold. Grammar Mistakes can Harm your Site Rankings so Proofread Your Article Before Hitting Publish button. Read My Tips on How to proofread Article to Avoid Mistakes. So these are Some Steps that can Lead you to Top Rankings But Don’t Try Any Shortcut. My Last Advice of the Article is that After Following this Guide You Will start Getting Some traffic from search Engine, Try Posting on Daily Basis, Post About 2 Articles Daily at a Fixed Time. 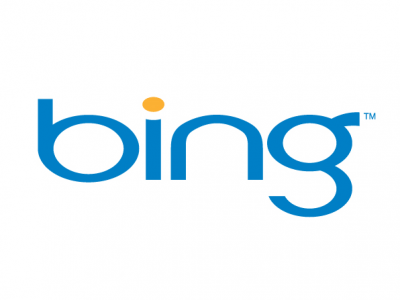 It Will Boost Your Rankings in Search Engine. Google Likes Daily Updating Sites. Do you Have Any Questions? It’s My Pleasure to Answer? Such a Wonderul post! Thankyou For sharing! Yes dear you are right these are some silly mistakes which are daily making by webmasters . so we need to focus on quality article and quality back links with On page seo to get ranking in search engine . Thanks for sharing such a nice article. Grammatical mistakes and page loading time are two factors which many webmaster/site owners underestimate. I am telling this on my personal experience. Wow.. i am amazed Atinder how you come up with great articles day by day… Another wonderful article and i am following your blog on daily basis now… It helps me a lot in learning new things and increase my knowledge in Blogging and internet marketing… Thank you Atinder… keep doing this good work… Cheers..